while also peddling tens of thousands of products to our daughters that emphasize beauty and consumerism? Does the brave Rapunzel in the movie offset the one who is on the Escape From the Tower Lip & Nail Set? 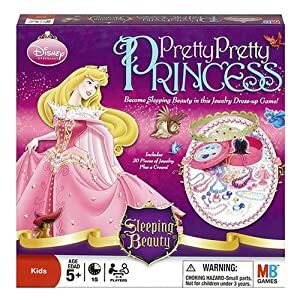 Or the Pretty Pretty Princess board game? Or the zillions of other products out there? You tell me. And finally just for fun and to illustrate how deeply the Princess phenom has gripped our collective imagination, (see it before it goes viral and loses its cool) I give you "Hipster Disney Princess the Musical!" "Sociological Images": Will You Marry Me? Again, I thought this was 2012, but apparently we have all been catapulted back to the set of "Mad Men." Say "Nay!" to "My Little Pony" Talking Princess Celestia Doll! 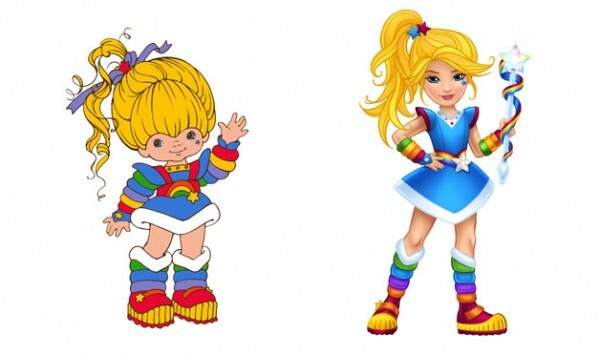 [Shows based on girls’ toys] did not reflect the way I played...I assigned my ponies and my Strawberry Shortcake dolls distinctive personalities and sent them on epic adventures to save the world. On TV, though, I couldn’t tell one girl character from another and they just had endless tea parties, giggled over nothing and defeated villains by either sharing with them or crying–which miraculously inspired the villain to turn nice. there are lots of different ways to be a girl. You can be sweet and shy, or bold and physical. You can be silly and friendly, or reserved and studious. You can be strong and hard working, or artistic and beautiful. This show is wonderfully free of “token girl” syndrome, so there is no pressure to shove all the ideals of what we want our daughters to be into one package. There is a diversity of personalities, ambitions, talents, strengths and even flaws in our characters–it’s not an army of cookie-cutter nice-girls or cookie-cutter beauty queens like you see in most shows for girls. As Rebecca points out, that means when a child plays with this Princess Celestia toy, he or she will be bombarded with self-absorbed, pretty princess vanity, the kind, she says, the show is, happily, free of. Why’d Hasbro do it? The same reason Nick makes the bizarrely-named Magic Hair Fairytale Princess Dora doll: they think they'll make a buck. only we parents can prove them wrong. I was told [by Hasbro] that because of Disney movies, girls assume that Queens are evil (although I only remember 1 evil queen) and Princesses are good. I was also told that the perceived youth of a Princess is preferable to consumers. [...] I put up a bit of a fight when her title changed, but you win some, you loose some. I’m a princess! I rule my country with wisdom. I love teaching my students. Do you love school? You’re so smart! You remind me of Twilight Sparkle, my best student. You’re beautiful outside and in Together, we can do anything! A propos of that last phrase: if you're interested in letting Hasbro know we want our girls to think, play and be something beyond pretty, pink princess, here’s Rebecca’s petition at change.org. Disney Agrees: Princesses are Unhealthy for Girls! 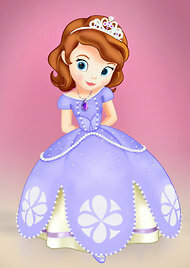 Did Disney blink in releasing its new "age-appropriate" Sofia the First princess character and TV show? If Sofia is deemed "just right" for preschoolers, after all, wouldn’t that mean the now re-labeled "adult" princesses…aren’t? Yet for the past ten years, the Princess concept has been sold (and sold and sold) to the exact same demographic with the Disney assurance that they are “developmentally appropriate,” "safe," and imparting good values. No more. Sofia, they assure us, won't be about romantic fantasy. She won't need a prince to make her happy, a message that, according to one report Disney recognizes as a "legitimate worry" for parents and a "bad message for little girls." Yet when I spoke with Disney execs while reporting Cinderella Ate My Daughter, they poo-pooed my concern, insisting that the romantic story lines and passive heroines of "Cinderella," "Snow White," "Little Mermaid" etc.--which, again, they were shilling to the very same preschool girls they now say need rescuing from that message--were harmless fun. Can they have it both ways? At the time, execs also told me that Princess was not I repeat not only about the dresses, makeup, bling and Kardashian-sized materialism. Or the $4 billion annually Princess pulls in for the company. No. Disney Princesses were about kindness and compassion and values. Hey, guess what they’re saying about Sofia? She will, according to a Disney Jr. exec, have “plenty of pretty dresses and sparkly shoes,” but her REALY purpose is to teach viewers that “what makes a real princess is what’s inside, not what’s outside.” Unlike, say, what the other princesses have been teaching viewers for all these years? So I wonder, does that mean Disney won't be selling any of Sofia dresses, crowns, ways or other merch, so they can reinforce the idea that she's all about the inside? Not hardly.Disney is nothing if not cynical. And greedy. Obviously Sofia is all about the dresses and the shoes. If not, they could have made her an astronaut or, I know….an explorer!!! Oh, wait, we have that already.I wonder whether Dora would have been possible in today’s princess-obsessed culture. Especially given that Dora herself has both gone princess and undergone a makeover. Maybe if Disney (or Nick, or Sesame Street Workshop or, gosh, anyone) had 10 other “age appropriate” female characters who were not princesses; maybe if they had a female character whose appeal did not depend on her prettiness (because make no mistake—Sofia is very pretty and weirdly coy and, not for nothing, totally white and that is part of the package); maybe if they didn’t continually reinforce to girls at ever-younger ages that how you look is who you are while claiming to do just the opposite (witness the Tangled Escape From the Tower Lip & Nail Set! 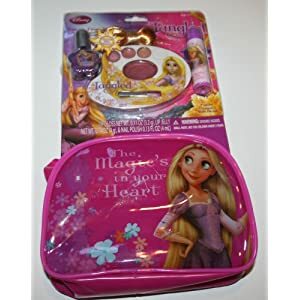 and the Princess with a Loving Heart Make-Up Kit. ); maybe if they didn't prime them for premature sexualization while claiming to protect them from it; maybe if they didn’t exploit little girls’ fantasies and turn imagination into something to be scripted and sold; maybe if they didn’t provide the first entrée for so many of the issues I write about on this blog (and in Cinderella Ate My Daughter); maybe then I would feel less disgusted by this latest move. Instead, it just feels like the latest predatory example of Disney reaching for the crib. 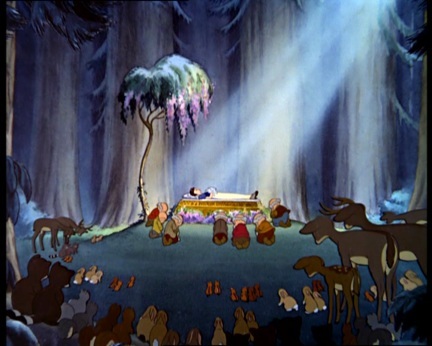 Meanwhile, I’m still waiting for the company to come out with a Snow White coffin. They’re missing a major womb-to-tomb branding opportunity. Wait! Wait! One more thing--you want a great princess story? I'll give you one. Just in time for the holidays. The Princess and the Pig. It looks hysterical--and right on. And you can bet it won't be used to sell your 3-year-old lip gloss! I just received a press release (excerpted below) below from the Disney Store. Those pseudo-empowering" Rapunzels and Belles are just bait-and-switch for trusting parents. The big money--the REAL money (the $5 BILLION a year) is creating and selling to what here is called the "Princess Fashionista" and then keeping her business and loyalty as she reaches the high-spending tweens and beyond. Interesting that girls here are no longer encouraged by Disney to live HAPPILY ever after but STYLISHLY ever after. Hence my theory that really, the thing to be concerned about these days is NOT the rescued-by-the-prince fantasy so much as the way today's Princess culture girls to a of femininity that is sexualized, narcissistic, self-objectifying, vain, commercialized, self-objectifying....and need I say UNHEALTHY? PASADENA, Calif., September 7, 2011–Disney Store will celebrate New York City’s Fashion’s Night Out with an event fit for royalty, inspiring its guests to live ‘stylish ever after’. Disney Store Times Square will host an array of fashionably fun festivities on September 8, 2011 from 4 p.m.-11 p.m., highlighting the newest Disney-inspired lifestyle product lines. Guests will be treated to a magical evening including free mini-manicures with the new runway-inspired Disney Princess Designer Collection nail polish, featuring hues ranging from Snow White's luscious apple red to Belle's gleaming gold. Guests will be able to customize their very own bracelet at the Kidada for Disney Store charm bar, and be the first to get a sneak preview of the latest Disney Store fragrance inspired by Tinker Bell—Pixie Dust. “We’ve created products that tell Disney stories with a fashion-forward spin with the goal to keep our guests excited and looking forward to what is coming up next,” said Robin Beuthin, vice president of creative for Disney Store North America. Disney Store’s new Pixie Dust fragrance...captures Tinker Bell's personality perfectly – it charms with a subtle sweetness yet it also has a hint of sassiness that we love about the beloved Disney character. Pixie Dust comes as a range of personal products including Eau de Toilette, Body Mist and Body Lotion, available in all Disney Store locations in fall 2011. Gift sets with body glitter, a roll on Eau de Toilette and lip gloss will also be available. Yes, this is for your preschooler. No that is not the new OPI line. It is, again, for your preschooler . 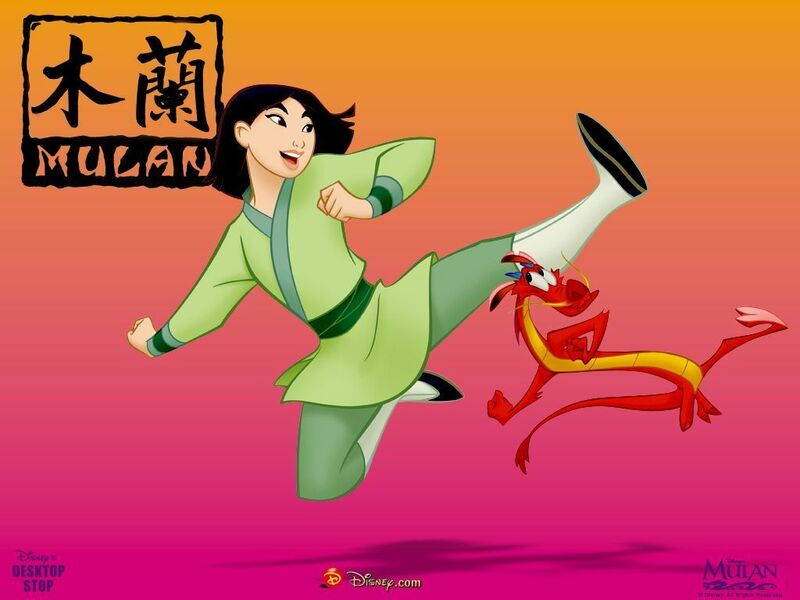 And, oh no, look what they've done to poor Mulan!!! Sigh. Honestly, do you WANT your 3-year-old to be "fashion forward?" Do you want her even to know what that phrase means? And by the by, why does a preschooler need perfume, let alone one with a "sassy" edge? Don't children smell perfectly delicious as they are (assuming they are potty trained)? Oh, and in other Mouse House news, Andy Mooney, creator of the Disney Princess line and head of consumer licensing for the past 12 years, resigned yesterday. Unclear where he will go but in an email to his staff and colleagues he wrote, Together, we have radically changed the licensing business." Damn. You can say that again. I'm still on vacation, but while I've been gone people have been sending me various outrageous items they've come across that, again and again, illustrate of increasingly sexualized, commodified ideas about femininity being foisted on our daughters at an ever-younger age. To me, some of them are the equivalent of the toddler beauty pageants--they are so out there that they become perversely reassuring: whatever the rest of us may be doing it's not THAT bad. Ultimately, I fear, they discourage us from truly examining mainstream culture, desensitizing us to the less extreme but relentless creep (and I mean that in every sense of the word) of sexualization and consumerism. So to me, while despicable the French company Jours Apres Lune's totally pedo lingerie for 10-year-olds ( see below) that was all over ABC and Time, risks taking our eye off the true problem. Similarly, the same outlets' alarm over the 10-year-old model, again in France, styled like Pretty Baby in that country's Vogue. And on our home turf, while one hopes that the company Baby Bangs that is, essentially, selling WIGS FOR YOUR BALD BABY GIRL will never get off the ground, it is also the equivalent of focusing on a brush fire when the forest is burning. I'm not saying these things aren't worth our attention. And I still TOTALLY appreciate people sending me emails and facebook updates on what they're seeing out there (more on the diet book for girls another time. Sigh). But the real problem is not any single item but that these products and images are CONSTANT and have created a truly toxic culture for girls. Meanwhile, girls are commodified in every day, garden-variety, banal ways that we barely even notice. By trusted companies like Disney and Mattel. And trusted retailers like...JC Penney. Take this t-shirt. Who has time for homework when there's a new Justin Bieber album out? She'll love this tee that's just as cute and sassy as she is. Must I comment on this? First I will have to reattach my jaw which hit the floor and then broke through to the next level down. The fact that a TEAM of people had to have okayed this, that they thought it was appropriate, attractive and that parents and girls (who should be INSULTED by it) would dig it is so horrifying I'd say the message was a throw-back to the 50s, but it's not. The propaganda for girls and women back then was about taking pride in housework and child-rearing which, yeah, was a touch limiting. This, however, is arguably worse: taking pride in being a narcissistic, willfully ignorant, spoiled, superficial, self-objectifying, helpless (save for the ability to manipulate) PRINCESS. So not funny. You want to protest? Here you go, folks. Click to send an email. Or call 1-800-322-1189. Or post on their facebook page. Or tweet @jcpenney. (thanks to Johanna Cohen for alerting me to this one). POST SCRIPT: Apparently J.C. Penney got the message and according to today's Daily Beast is pulling the T-shirt. Good going parents! Let's take a break from chronicling the problems today and--hey. in honor of women's soccer (woot!) --be a little solution-oriented. I just spoke with the magnificent Diane Levin and she mentioned an organization she's founded: TRUCE, which stands for Teachers Resisting Unhealthy Children's Entertainment. Our mission is to raise public awareness about the harmful influence of unhealthy children's entertainment and to provide information about toys and activities that promote healthy play. We are working to eliminate marketing aimed at exploiting children and to reduce the sale of toys and entertainment that promotes violence. This is not specifically about girls--it's about the unhealthy messages beamed at both sexes. On their web site they have a fabulous set of action guides teachers and parents can download on play, toys and media for infants, toddlers and young children. They're totally grass roots, so if you do it and like it PASS THE INFORMATION ALONG! I'll put this on my resources list, too! I used to sort of enjoy Polly Pockets when Daisy was into them. I think it was their size. And they had some cool gear. And sometimes I'm a hypocrite, so sue me. Of course, Pollys, like most toys for girls, had aged down: initially, for instance, Barbie was aimed at a 9-12 demographic, but little girls, trying to be cool like their older sisters, start wanting them too and then they became anathema to the older girls. So now rather than starting with Barbies at 9, girls are done with them by 6. I write a lot about age compression in Cinderella Ate My Daughter and also how it's affected the nature of the Barbie fantasy. 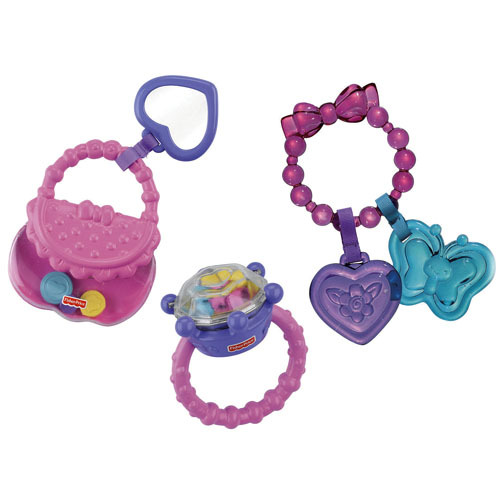 Anyway, the thing with the Pollys is that they are now marketed (according to Amazon) to girls ages 2-5. And those little rubber clothes and shoes are really impossible for girls that age to manipulate on their own. Resulting, in our house at least, in a lot of tears of frustration and many "dead Pollys" (dolls whose limbs had all been permanently broken off when clothing was forced on). Though we did get the occasional really cool art project out of it (using aforementioned limbs). So they had to be disappeared. They were too fuss-provoking, even beyond any premature sexualization or fetishized consumerism they communicated. 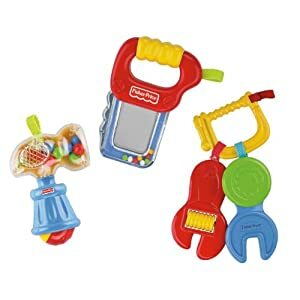 I'm not saying original Pollys were stereotype-free or entirely anti-consumerist, but they were more along the lines of Fisher-Price "Little People." They look like children. And they were self-contained (though you could collect them). There was a cute cafe version and a classroom version and...well, they were all-in-all, even if just COMPARATIVELY, sweet. There was something called a "race to the mall" play set ("Polly and her friend can race through the big city and win the flag at the finish line, or dine, shop and stop for the view at the high observation deck") in addition to her REGULAR three story mall play set. There's also the World Rockin' Magic Fashion Stage and, of course, the Ultimate Party Boat Play Set (let's hope those Pollys stick to apple juice on the high seas). My favorite, though is the Ultimate Polly What Happens in Vegas set. Okay, just kidding. It doesn't exist, but you believed me for a second, didn't you? I can't totally hate on Polly--I liked surfer Polly circa 2006. I dig some of her cars. The snow boards are fun. But more and more she has become just a tiny, hard to dress Barbie who is all girl power as the power to shop. Speaking of age compression, I recently saw this interesting post on yahoo answers regarding Monster High. The dolls, you may recall, are supposed to be for older girls (those who had outgrown Barbie and Bratz) but they're drifting downwards rapidly. "Okay so i'm going to middle school in the fall and will have a locker i want to print put som MH stickers (the cleo de nile and ghoulia yelps ones but i dont want to be the loser who likes MH!! HELP?" 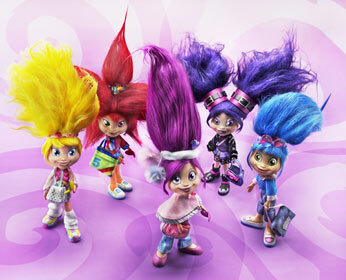 "my 5 year old girl loves monster high, but my 12 year old girl thinks that it is lame. you might be getting a bit too old to have 'characters' on your locker." Thank you for saving me from the biggest mistake of my life!!!" Voila! Monster High is now for 5-year-olds. Victoria Secret references and all. "It would be ridiculous to claim that Disney Princesses or Hannah Montana or Bratz dolls or Monster High or Twilight or whatever is inherently harmful. But each one is part of the round-the-clock, all-pervasive media machine aimed at girls from womb to tomb; one that, again and again, presents femininity as performance, sexuality as performance, identity as performance, and each of those traits as available for a price."